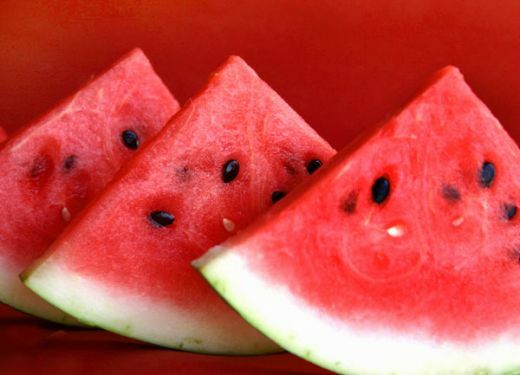 So here is the thing we all know how refreshing a cold slice of watermelon is on a hot day but have you ever considered mixing your yummy watermelon with your favorite drink? Well now if you haven't try this trick its simple and delicious and a great way to get a summer pool party going. 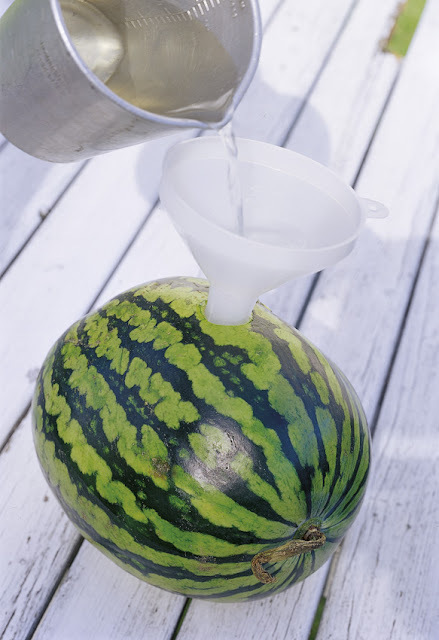 All you need is a watermelon a sharp thin long blade knife a funnel and a bottle of your favorite hooch. Now my poison might not be your poison so yes the normal thing to use is a bottle of vodka but i like to use rum or Bacardi it is all good. So you make a small round hole in the skin through to the flesh you insert your funnel and start pouring your hooch in, it takes a while so be patient. Once alcohol is in put Mellon in the fridge using the piece you cut out to plug the hole. Leave for two or three hours in fridge to absorb the hooch (very Important) then bata bing bata boom take it out slice it up and enjoy.